ARGO XTV (Xtreme Terrain Vehicles) today announced in cooperation with Dirt Trax Television, Coin Lavigne Outfitters and Tourism Lanaudière the ARGO Go Anywhere Sweepstakes. Enter and you can WIN an ARGO Frontier Scout 6X6 S plus a three day all expense paid hunting and fishing adventure at the legendary Coin Lavigne Outfitter this coming October. Dean Dutcher Director of Marketing, ARGO commented: This is a fun and exciting way to experience the Go Anywhere amphibious Argo XTV while providing our customers with a once in a lifetime opportunity to experience Quebec, and to share their experience in a feature story on Dirt Trax television! 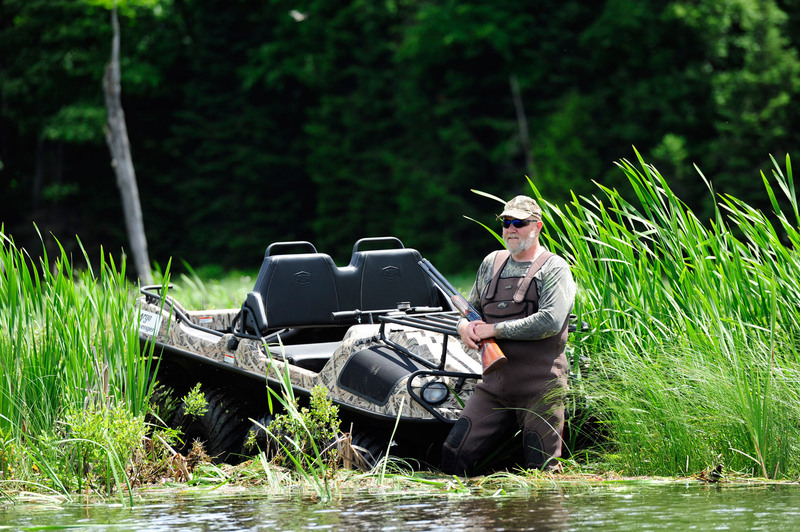 Located in the heart of the Lanaudière Region, Coin Lavigne Outfitter is surrounded by eight beautiful lakes, breathtaking mountain terrain and majestic wildlife. The lucky winner will be treated to an authentic Quebec experience and also take advantage of the full-service accommodations along with professional guides for Hunting and Fishing. To learn more about ARGO, or to find your local dealer, visit ARGOxtv.com. Join the conversation on Facebook at Facebook.com/ARGOXTV, on Twitter at @ARGO_XTV, and on Instagram at @ARGO_XTV. ARGO Xtreme Terrain Vehicles (XTV) have been manufactured since 1967. ARGO markets its recreational and commercial products through a network of independent dealers and distributors located throughout the United States and Canada and through distributors representing dealers in Europe, Russia, South America, the Middle East, Asia and other international markets. ARGO’s unique durability, safety and versatility are driven by the renowned engineering capability of its parent company, Ontario Drive & Gear Ltd. (ODG). Since 1962, ODG has manufactured quality precision gears and transmissions.